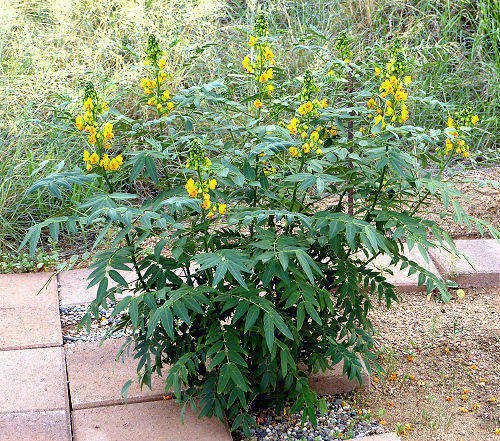 Form: A subshrub with a semi-woody base and herbaceous stems. Lifespan: Seven years or more. Mature Size: 3-6' high and wide. 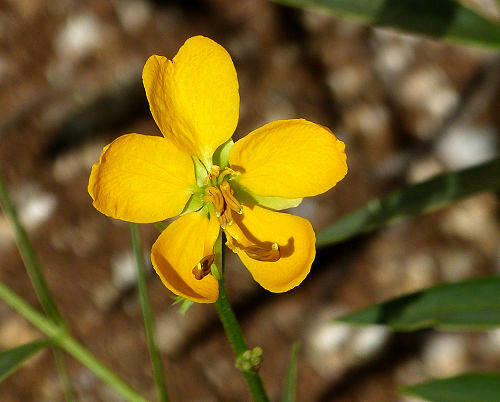 Flowers: Five oval shaped, vivid yellow petals, and two enlarged, curved, lower stamens. The petals open wide in the morning and partially close by dusk to form a ball. No nectar is produced. Bloom: Repeatedly, throughout summer, usually after the start of summer rains, or with irrigation. Fruit: Slender, arced, cylindrical pods, 6" long or more, containing dark brown pellet-like seeds in a single row. The pods remain after the leaves have dropped in the fall. Leaves: Dark green, lance-shaped, medium-sized, hairless leaflets. 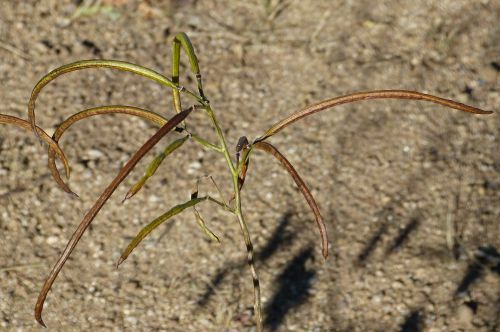 In dry soil, the leaflets tend to rotate their petioles (stems) so their surface is nearly vertical to the ground and sun exposure is reduced. The petioles, when rotated, can also bend so the leaflet is nearly parallel to the stalk. The leaves of individual plants vary with respect to their aroma. Some have a distasteful smell, others none at all. Roots: Nitrogen-fixing*, with a taproot. Wildlife: Attracts several species of sulphur butterflies, small ants, and lizards searching for ants. Female sulphur butterflies investigate this plant as a potential caterpillar food plant, and seem attracted to the aroma given off by the leaves. However, the eggs may be eaten by ants, or young caterpillars eaten by lizards, because late-stage caterpillars are rarely seen. This plant may be pollinated by small ants. Harvester ants are known to cut off the leaves of this plant when it is near to their nest and is watered during a drought. 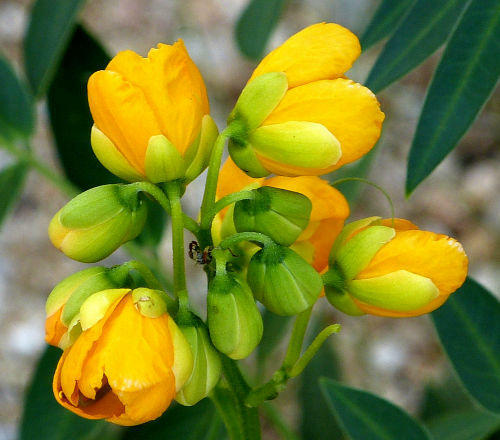 Toxic / Danger: There are non-specific reports of this plant being toxic to animals which eat the leaves, in Africa, where it was introduced. Origin: Arizona, New Mexico, and tropical and subtropical Americas. USDA hardiness zones: 8-9. 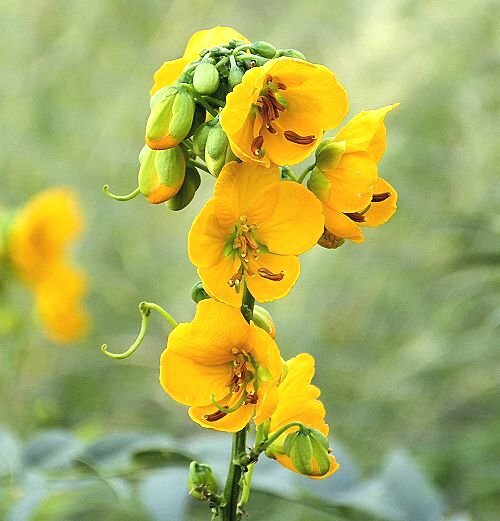 This wildflower dies to the ground in winter, leaving dry brown stalks and persistent seed pods. It normally reappears mid to late spring but can be induced to leaf out early, with regular water, starting late winter. Sun: Full sun to part shade. Water once established: Monthly. Tolerates frequent watering. Soil: Well drained, pH 6.6-7.8 (neutral to slightly alkaline). *Do not use a nitrogen fertilizer. Prune: In winter, cut to the ground, except keep one short central stalk to mark the location of its roots. This plant is a member of the Legume family (Leguminosae) and a very showy desert plant. 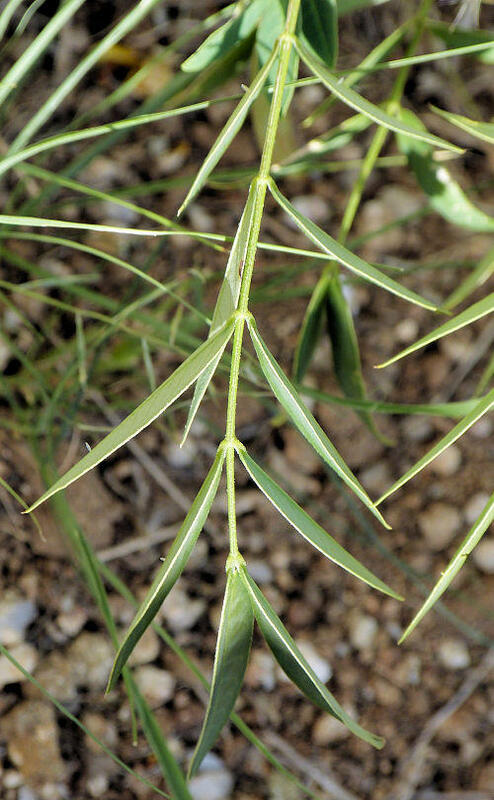 Cassia leptocarpa is a synonym.